Shelly – Strategies, Matchups, Tips and More! 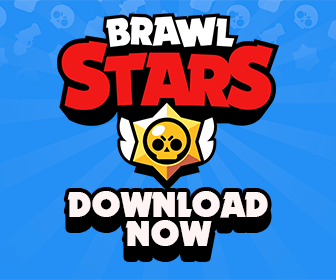 | Brawl Stars Up! Shelly’s Super shells slow down enemies for 2.5 seconds! Shelly’s supercharged shell obliterates both cover and enemies. Anyone who survives gets knocked back. Shelly 101 – Everything You Need To Know About Her! Hey guys it’s Ash and welcome to a the new guide series of mine in which I delve into the mechanics and techniques of every brawler character in the game and teach you guys how to beat every other brawler. I’ll be showing you how to beat every brawler with Shelly in 1v1 situations, and then at the end I’ll show you guys live gameplay of what the best maps and team compositions are for Shelly. By the end of this guide, I promise you that you will become a Pro Shelly player. Shelly, the fighter, the shotguner, the runner, and lastly, the showdown master, is one of the most used character in the game. She is your first character in this game. Her main role in a team clash is usually as a main DPS and Ganker role. DPS means that she will deal as many damage as possible in this game to kill enemy team. Ganker means that she acts as a Main Squishy backline killer like Colt, Ricochet, and Brock. Shelly can also 1 v 1 both tanks in this game, this is due to her overpowered 4th shot that can easily charge up when at a fight. To start off, let’s quickly review the mechanics of Shelly and her attack. Shelly does more damage the closer you are to your target. If you are between 0 to 1.5 tiles of your target, then Shelly will hit that target will all 5 of her shells, meaning she will do 5 times more damage at very close range than from far away. If she shoots between 1.6 to 3.5 tiles, then she will hit her target with 3 shells, meaning she will do 3 times as much damage than she would have done if she was to shoot from more than 3.5 tiles away. Next, let’s review when you should auto tap to shoot a target and when you should manually aim. Shelly is one of the best brawlers to use auto tap with. If the enemy is within 3 tiles, then you should always auto tap the enemy! However, you should not use auto tap when you are trying to use her full range to attack your target. The reason for this is, if your target is not within the range of Shelly, then she will blindly shoot at random directions. However, if your target is within about 4 tiles, then you should almost always auto tap with Shelly. There are certain exceptions to this. Such as if your enemy is near or behind a wall, then you should manually aim because if you don’t have clear and open shot towards the enemy, then Shelly will randomly shoot elsewhere. Similarly, if the enemy is hiding in the bushes and you don’t have vision of the enemy, then you must manually aim. To shoot in the bushes to check for enemies. To be sneaky and not attack so the enemy does not know where you are, allowing you to quickly auto tap them the moment you see them. So now, I’m going to show you guys how to use Shelly to beat every other brawler in the game 1v1. Is a tough matchup for Shelly because Colt has more range than her and he also does so much more damage than Shelly from far away. In order for Shelly to beat Colt, you will need to utilize walls as much as you can and try to get as close to Colt as possible. Remember, Shelly does most of her damage when she is within 3.5 tiles of her target, so if you can get within 3.5 tiles of Colt while holding onto full ammo, you can quickly auto tap all 3 ammo on him and beat him. And although Colt does so much damage, he is one of the easier brawlers to dodge attacks from, so a big tip for dodging his attacks is to stay about 3 to 5 tiles away from him while moving left and right to dodge him. If you get too close without dodging him, then he will shred you with his auto tapped attack. Against Nita, Shelly has about 1 tile advantage against her. So to beat her, you must use Shelly’s full range to slowly chip health from Nita while keeping distance from her so she can’t damage you. If Nita rushes you, simply run back while shooting and you will easily beat her. Slowly dealing chip damage on her will allow you to charge your super, and when you are close to your super, you can rush in on her and easily destroy her with your super. If she uses her Super bear, then best thing to do would be to run away from Nita’s range, while shooting at the bear. This way you can take out the bear without taking any damage. This is one of the easiest matchups for Shelly. El Primo has about a 3 tiles attack range, so all you have to do is stay away from his range and keep chipping damage on him to charge your Super. Once you have your Super, you should run towards him and blast your Super on his face. This will allow you to stun him and charge over 75% of your Super and then get it back with 1 more attack, allowing you to use your Super on him again. One thing you must be careful is that Primo has more speed than Shelly, so try to stay at least 4 tiles away from him when you’re attacking him or he will be able to catch up to you and may kill you. You can beat Bull the same way you would beat a Primo. Bull has a 5 tile range, but he does very little damage from more than 3 tiles away. So you can safely get within 3 to 5 tiles of him and beat him. However, never get within 2 tiles of Bull. If you are within 2 tiles of him, he can quickly kill you with 2 quick hits. And similar to Primo, Bull also moves faster than Shelly. Jessie’s attack has a long range and is also pretty thick, so the best way to beat her is to either juke in by moving left and right as you approach her to get within 3.5 tiles of her and then spam your auto tap on her, or run behind walls to take cover and slowly get close to her. Against her Turret, don’t try to use your range to take her down because that is a very bad idea. If you use your full range on her Turret, then you will do very little damage on it and you will also let the Turret hit you and charge Jessie’s Super again. So the best way to take down the Turret is to get really close to it and destroy it with 2 quick shots without feeding it too much. Keep in mind that when you’re hiding in the grass, the Turret will not shoot at you, so use that as an advantage to get closer to the Turret before attacking it. Brock is tough matchup for Shelly because of his range. The best way for you to beat Brock is to use walls to take cover and then get as close as possible to Brock. A pro tip is to try and get Brock to miss one of his shots so then he only has 2 ammo, and then rush him because he will not be able to kill you when he runs out of ammo. One helpful thing to note is that you can use Shelly’s Super to cancel out Brock’s Super if you are within his range. Similar to how you would beat a Brock, you can employ the same strategy to beat a Piper. However, Piper does most of her damage from far away, while you of course do most of your damage from close up. So the best way to beat Piper would be to get as close at 3 tiles and then you can quickly kill her with 3 quick shots. Getting close to her will be the main challenge, and the best way to do that would be to use walls as cover while slowly and safely getting closer to her. Dynamike is a very hard matchup for Shelly when he is shooting you behind walls. However, Dynamike’s biggest weakness is that he is pretty easy to dodge. To dodge him, you must be very unpredictable with your movements, meaning you will need to not only move left and right, but you must also move up and down at the same time. And then when you get close to him, you can easily rush him and kill him. If you have your Super, you can blast through Dynamike’s walls and kill him. Barley is actually tougher to beat than Dynamike because Barley’s splash attack radius is so big, so he rarely misses and it’s quite difficult to dodge. However, Barley’s weakness is that he does not do very much damage. Barley does double damage if you stand still on his attack or walk into it. So to beat Barley, you must avoid taking double damage, while dodging in by taking single damage. Once you get close to him, he is very easy to kill. Bo is not very hard brawler to beat for Shelly. He is one of the easiest brawlers to dodge, as all you have to do is keep moving left and right as you run into him. To beat Bo, you must load up your ammo to full and get really close, within 1.5 tiles from him. Bo has more range than you, so you should always try to use walls to shield you as you try to get close to him. The best way to beat Poco is to use your full range by manually aiming him from far away. Shelly has a 1 tile range advantage over Poco, so as long as you use your full range, Poco will not be able to damage you. Once you hit him with enough chip damage and have your Super ready, you can rush him because he does very little damage and then blast him with your Super at close range. Ricochet is really hard for get close to because he has so many ways to bounce his attack through walls. The way to beat Ricochet is to get into an open area position when Ricochet can’t bounce his shots on you. Then once you get close to him you can easily kill him with 2 or 3 shots because he has very little HP. The best way to beat Darryl is to use your full range. He has about the same range as Poco, but does most of his damage at close range. You must also remember that Darryl can autocharge his Super without having to deal any damage, so he can get his Super any moment and roll right into you. So you must be ready for that. Best way to counter a Darryl that has Super is to rush him and get as close as possible to him, so he can’t roll into you with his 7 tile Super range and stun and direct hit you to kill you. Penny is very difficult brawler to dodge because of rapid firing attack and the thickness of it. The best way to beat Penny would be to use walls and get close to her and then rush her. It takes Penny 5 ammo or 5 hits to kill Shelly, meaning Penny needs time to charge back her ammo to kill you, giving you ample time to rush her and kill her before she can reload. Pam is very tough matchup for Shelly because she has more range and does a lot more damage from far away. Not only that, she also does a lot of damage at close range. Your best shot at beating Pam is to use walls as cover and rush her when she is low on ammo or slowly work your way by charging your Super. Once you have your Super, you can rush her at close range and even be able to double super on her face to kill her. Similar to other tanks, to beat Frank you must use your max range. As long as you keep your distance from Frank, he won’t be able to touch you. So try to take advantage of that and slowly charge your Super. Once you have your Super, you can rush the Frank and Super him to beat him. But be careful, it only takes Frank 3 quick swings to kill you. Another super important thing to note is that you should always try to save your Super to negate Frank’s Super. Shelly can cancel out Frank’s Super and completely obliterate him with hers. Shelly is one of the best counters to Mortis. You should almost always auto tap against a Mortis. The best way to beat Mortis is to not spam your attack, instead, focus on getting really close to him or have him come close to you, and then auto tap him on his face. Once you have Shelly’s Super, it is pretty much impossible for Mortis to beat you as all you have to do is auto tap your Super button whenever Mortis dashes onto you. Tara has more range than Shelly, so to beat her, you must get close to her and the best way to do that is to use walls. It takes Tara 4 hits to kill Shelly at close range, whereas it takes Shelly only 3 hits to kill Tara at close range. So to beat her, you will need to get as close as possible to her before auto tapping her. If Tara has Super, always try to stay behind walls so she is unable to pull you. Spike is one of the hardest matchups for Shelly. To beat Spike, you must avoid his direct hits. Spike’s weakness is that his main attack is pretty hard to accurately hit an enemy that is between 3 to 5 tiles away. So if you can get within 3 to 5 tiles of Spike and dodge his direct hits, you can actually rush him and quickly kill him because he has very little HP. A good Crow player is so hard to beat as a Shelly because he is so fast and has so much range. But Crow’s weakness is that he does very little damage from far away, so you have to use walls and slowly try to push him back against a wall and pin him. Once Crow is pinned, you can easily kill him in 2 or 3 hits. If Crow has his Super ready, then don’t use your Super on him or he can quickly auto tap his Super and fly away. Instead, always wait for Crow to land on the ground after he uses Super, and then you can auto tap your Super and easily kill him. If you auto tap your Super while he is in mid air, then you will miss. Leon is very powerful in the game right now. Best way to beat Leon is to use your full range while staying behind walls and slowly work your way to get Super. Once you have your Super, you can rush him and kill him with your Super. If Leon has his Super ready, then a very smart idea would be to stay near a mushroom or wall, that way when Leon gets close to you while he’s invisible, you can quickly run around the mushroom or wall and avoid getting shot at by him. If you have your Super, you can easily blast him through the wall or mushroom. When you’re up against another Shelly, the best way to win is to use your full range and manually shoot the enemy Shelly from as far away as possible. This way, you can slowly deal damage to the enemy Shelly while not take damage. By weakening the enemy Shelly slowly, you are forcing her to move back so she can regen. This allows you to gain control and pin her down for an easy kill. Shelly is by my opinion, one of the strongest solo fighter brawler in this game. His super acts as an invaluable 4th ammo that can obliterate every target in sight. Her strengths is her ability to take down even the highest amount of hitpoint brawler in the game. With her shotgun that can kill relatively any foe in this game. Shelly main weaknesses is her inability to deal with long ranged brawler. She will need an assist to deal with them because she does not have any chasing ability in this game. Use your shotgun to detect enemy in bushes, just try to shoot it because it sometimes will save you from a hiding El Primo. And last, against a long-ranged sniper, you may want to take the advantage of bushes and walls to get near them. Do not be very aggressive in showdown because Shelly is not as tanky as that El Primo or even Bo. Thanks a lot for all of you that has read all of this Shelly guides up until here.